Windblown, featuring all new original songs by Kimmie, paints a poignant picture in song of a young woman who has exiled herself to the wilderness of the Texas Big Bend in a struggle to escape the sorrows of her bordertown life and the bad choices she has made. With exceptional performances by legendary players like Lloyd Maines, John Gardner, Richard Bowden, and Gabe Rhodes, this CD takes us back to Kimmie’s West Texas roots to explore the drama of love and death on the border. Windblown also serves as the soundtrack to a new Kimmie Rhodes performance art piece, a stage production featuring interpretive dance performed to live music with award-winning actor Joe Sears serving as narrator for the story and playing a variety of legendary “spirits of the desert”. The world premier was January 21st, 2005. 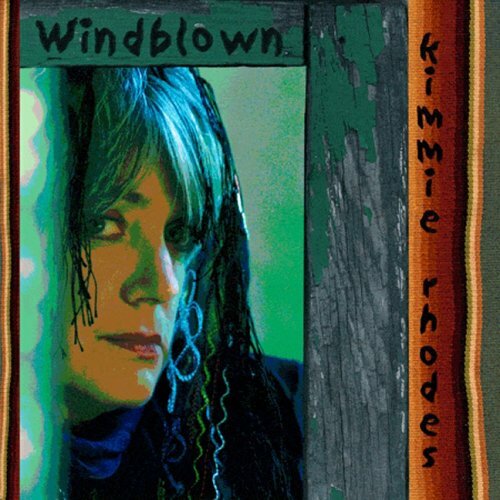 Produced by Gabe Rhodes, Windblown explores more of the rich world of Kimmie’s lyrical, musical, and now dramatic vision.